It’s fair to say that most online poker players start their poker career by playing freerolls and small buy-in tourneys for a bit of fun and to see what it’s all about. At this stage, it’s likely that they’re still asking ‘what is rakeback?‘ – let alone the best way to get it. It’s generally only once players have committed to poker more seriously and are looking for all and any ways to maximise poker profits that that they discover rakeback deals and offers. The very first ‘rakeback pros’ were mostly Sit ‘n’ Go players that clocked on to the idea that being able to play loads of SNG tables simultaneously meant you could potentially rack up some pretty decent profits from rakeback without necessarily winning in the games themselves. Rakeback accounts could gather some serious cash – even if players aren’t taking a penny in actual poker winnings. 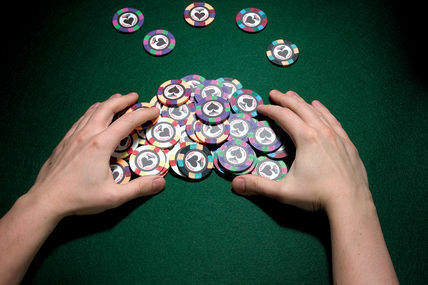 Breaking even or small losses are generally the name of the game – the profits are made by playing as large a number of tourneys and hands per month as possible; more tourneys means more rake – means more rakeback. The rule is simple: play more hands = earn more rakeback. It doesn’t matter if the stakes are low, if you can put it in between 4 – 8 hours a day, multi-tabling a minimum of around 20 tables at once, then players could expect to make anywhere from $5,000 and upwards a month! It might not sound particularly glamorous – its basically grinding like crazy with a view to breaking even or small losses, but that approach requires much less concentration and strategy than winning big if you know your onions. Of course, big rakeback payments come with the best rakeback deals – so getting one of those in place with a top rakeback provider is key to the success of a rakeback pro.